Sinolec is an excellent company specialising in the supply and manufacture of high quality electrical and electronic components from leading ISO 9001 certified manufacturers. We have been in the industry for more than 50 years and have great experience in sourcing high quality internationally approved and RoHS compliant components. We have established great relationships and partnerships with manufacturers during the years which enable us to continue sourcing and supplying components of the highest quality at competitive prices. Please visit our website top view our comprehensive range of items including Switches, Power Connectors, Thermal Fuses and Switches, Fuses and Fuseholders, Lamp Holders, Indicators, Potentiometers, EMI Filters and more. If you cannot find what you are looking for please contact our friendly team at Sinolec and we will be happy to help. Our experience enables us to source and supply all items quickly and easily. 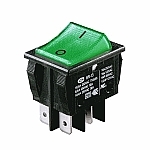 Please visit our website to view our wide selection of rocker switches. The range features different types of rocker switches and round rocker switches in varieties including: momentary (spring return), illuminated, single pole, double pole, double pole double throw, and single pole single throw. All switches are fully approved with VDE, ENEC, and are UL approved and compliant with RoHS featuring ratings up to 16A 250Vac. Miniature Rocker Switches and Waterproof Rocker Switches are also available. Images, descriptions and prices are all available online. Items can be purchased easily via our online checkout system. We also supply a range of top quality switches manufactured from leading brands such as Merchant and SCI. The range features various types including Rocker Switches, Push Button Switches, Rotary Switches, Vandal Proof Switches and Vandal Resistant Keypads. Momentary, illuminated, double pole double throw and single pole single throw options are also available. All items are suitable for new installations or can be used to replace existing switches. All switches in the range are fully approved with VDE, ENEC and are UL approved and compliant with RoHS. Please see detailed descriptions including prices online. Sinolec supplies a fantastic range of high quality rewirable plugs and sockets. These are suitable for use as replacements for a range of appliances and for use with computer equipment. They can be easily wired to existing cables and feature ratings up to 16A 250Vac. All plugs and sockets are compliant with RoHS. The range features C13 plugs, C14 plugs, C15 plugs, C19 plugs and C20 plugs. Please visit our website to view the range in full. If you require any further information, please contact us at Sinolec and we will be happy to provide all the information and advice you may need. Our range of top quality lamp holders includes: Compact Fluorescent, Ceramic Lamp Holders, Fluorescent, Edison Screw, G10 Lampholders, Daylight Light Bulbs, and Low Voltage Halogen. The full range includes, B22 BC Ceramic, E27 ES Ceramic, T5, T8, T8 Tombstone, 2G11 for PLL, G23 for PL S, G24 for 2 and 4 pin PLC and PLT, 2G7 for PL SE, GU10. Please see all items in the range on our website. All items can be ordered easily online. Sinolec supplies a wide selection of non resettable RoHS compliant microtemp thermal fuses featuring VDE and UL approvals. The range covers 72 degrees up to 240 degrees Celsius and is designed and manufactured to protect various electrical devices from overheating. Our range of organic compound, axial lead fuses are rated at 15A 250Vac and are suitable for use with a wide range of new appliances or as replacements for failed fuses. All of our components are manufactured in Korea and are equivalent to the NEC Sefuse SF/E series, Microtemp G4A series and Elmwood D Series and more. We also offer an excellent range of compact fluorescent lamp bulb holders that have been expertly designed and manufactured to suit a range of appliances. The range features: 2G11, 2G7, G23, and G24 types. They can be used for new projects or as replacements in existing projects. Most items in the range feature CE and VDE approvals and/or UL approval. All items in the range are compliant with RoHS. Please visit our website to view the range in full. If you cannot find what you are looking for or would like further information or advice, please contact our friendly team at Sinolec and we will be happy to help. Our range of high quality ceramic lamp bulb holders features various types including: ES, B22, GU10, E40, GX5.3/GY6.35 and GU4/GX5.3. They can be used for new projects or as replacements for existing projects. Most items in the range feature CE and VDE approvals and/or UL approval. All items in the range are compliant with RoHS. Please visit our website to view the range in full. If you cannot find what you are looking for or would like further information or advice, please contact our friendly team at Sinolec and we will be happy to help. 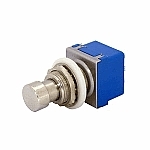 Please also visit our website to view our high quality push button switches. Various types are available including: momentary (spring return), illuminated, anti-vandal, stomp switches and TACT switches. They are suitable for use with new projects or as replacements for existing parts. All switches are fully approved with VDE, ENEC and/or UL approval. All switches are compliant with RoHS. Please visit our website to view the range in full. If you cannot find what you are looking for or would like further information or advice, please contact our friendly team at Sinolec and we will be happy to help. If you've any questions about Sinolec Components Ltd products or services feel free to ask them here.